The Forerunner 10 is the simplest device in the Forerunner family. 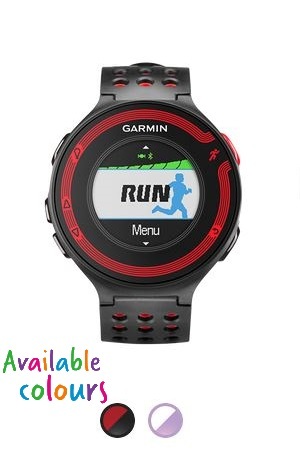 The easy-to-use, lightweight GPS watch lets you start your run with just a press of a button. Stay on track throughout your training by having pace, time and distance readily on display with just one glance. 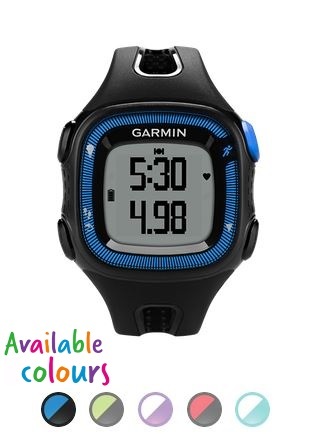 The Forerunner 15 adds on to being a reliable pacer by including heart rate compatibility and activity tracking. 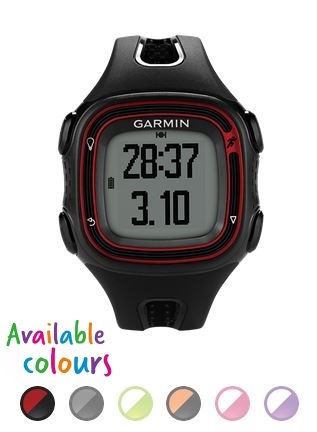 Have your heart rate and heart rate zone recorded by using a heart rate strap¹ on your runs. Continue to have activity recorded throughout the day with the built-in activity tracker that counts steps, calories and monitors sleep. If you’re looking to add more structure to your training, the Forerunner 220 has you covered. Personalise your workouts with free training plans from Garmin Connect and instantly upload them to your watch. For extra motivation, we’ve added live tracking so your friends and family can cheer you on, every mile along the way. Know your zone with Forerunner 225 – Our first GPS running watch to measure heart rate at the wrist. Its colorful graphic interface shows your heart rate zone and beats per minute at a glance. Built-in activity tracker records steps, calories and distance throughout the day. 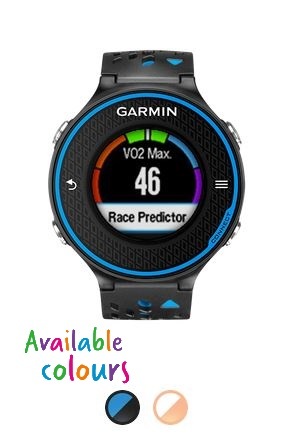 The Forerunner 620 gives you all the numbers and data behind your running so you can see which areas you may want to improve on. When used with the HRM-Run™ monitor¹ to measure metrics such as vertical oscillation, cadence and ground contact, the 620 is able to provide you with feedback on how to improve your form. For even more expert coaching, we’ve provided VO2 max estimate and recovery time advising, so you know when to push it and when to ease up after a grueling workout. 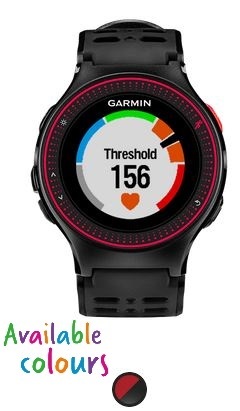 The 920XT multisport GPS watch is ideal for triathletes since it provides both swimming and cycling metrics in addition to running. 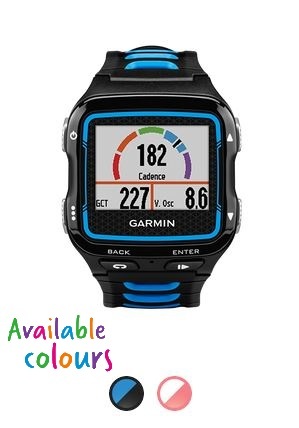 It has all the features of the 620 with the added bonus of daily activity tracking. Auto sync to Garmin Connect where you can save, plan and share your efforts with others. Data drainage or a cracked phone screen can turn any easy run into a nightmare. Luckily, you don’t have to worry about that when using a Forerunner. Here are just a few of the reasons runners tend to prefer GPS watches over smartphones.